Silver Spring, MD -- Featuring interviews with the writers, directors, and stars of the most beloved British costume dramas, the behind-the-scenes documentary, The Story of the Costume Drama , debuts on DVD from Acorn Media on July 31, 2012. The first episode aired on PBS stations in spring 2012; however, Acorn is releasing the complete five-episode series on DVD. Narrated by star Keeley Hawes (Ashes to Ashes; Upstairs Downstairs), these five episodes give an inside look beyond the ornate clothing, sprawling manors, and addictive story lines that have riveted millions of television viewers for decades and reveal how the often controversial sagas altered the television landscape and launched the careers of many young actors. The DVD 2-disc set features stars and scenes from Brideshead Revisited; I, Claudius; Pride and Prejudice; The Jewel in the Crown; Poldark; Horatio Hornblower; Elizabeth I; Sharpe; Moll Flanders; Doctor Zhivago; My Boy Jack; Cranford; and many more, and includes a bonus photo gallery ($39.99, www.AcornOnline.com). 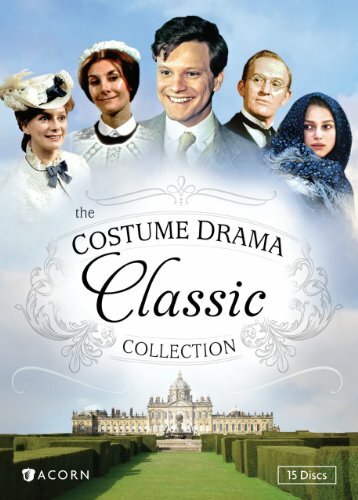 The Costume Drama Classic Collection, a value-priced DVD 15-disc collection, which includes four celebrated period dramas (Upstairs Downstairs Series 1, Lost Empires, Lillie, and Doctor Zhivago) plus The Story of the Costume Drama , is also being released on July 31st ($99.99). From 1955's fanciful Adventures of Robin Hood to 2007's racy Fanny Hill, costume dramas have toppled taboos and quickened pulses. Programs like Edward & Mrs. Simpson ruffled establishment feathers, while popular series Upstairs, Downstairs and The Forsyte Saga emptied pubs, wrecked social calendars, and forced vicars to revise parish schedules. The Story of the Costume Drama is required viewing for any fan of British television. Silver Spring, MD -- Representing the finest of the captivating costume drama genre with sumptuous costumes, lavish sets, and addictive plots, The Costume Drama Classic Collection arrives in a value-priced 15-disc DVD collection from Acorn Media on July 31, 2012, featuring four Masterpiece Theatre series--over 36 hours of quality British programming. The collection includes Doctor Zhivago, the 2002 adaptation starring Keira Knightley (Pirates of the Caribbean, Atonement); Lillie, the BAFTA-winning 1978 drama with Francesca Annis (Wives and Daughters, Cranford); Lost Empires, starring Colin Firth (The King's Speech) and Laurence Olivier in a coming-of-age story from 1986; and Upstairs, Downstairs, Series 1, the iconic British drama's original 1971-1972 series. 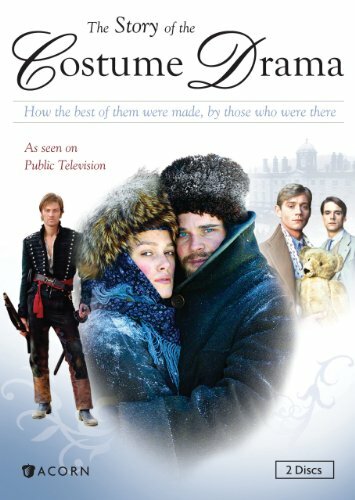 Coupled with a new, bonus making-of program, The Story of the Costume Drama, a rare behind-the-scenes peek at even more of these beloved productions including stars and scenes from Brideshead Revisited; I, Claudius; Pride and Prejudice; Poldark; and many more, this collection is a must-have for British costume drama fans ($99.99, www.AcornOnline.com). The Costume Drama Classic Collection is also debuting on DVD as a standalone 2-disc set on July 31st ($39.99).